How Robust is Your High School Business Curriculum? Want to Build a Better Entrepreneurship Curriculum? Today's world is different. Technology is different. Students are different. So, the skills and exposure kids acquire at the high school level should be different, too, right? Yes, that's our belief. And we created a better way for it to happen with this entrepreneurship program for your school. 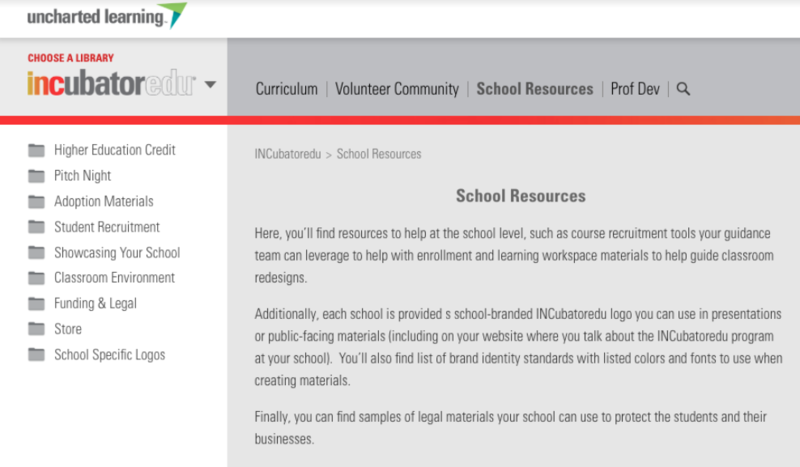 View the comprehensive resource library available to Member schools and teachers for INCubatoredu - an authentic entrepreneurship program for high school students. At the end of the curriculum preview, you'll gain access to a downloadable lesson plan that provides you with a sample of what we offer.